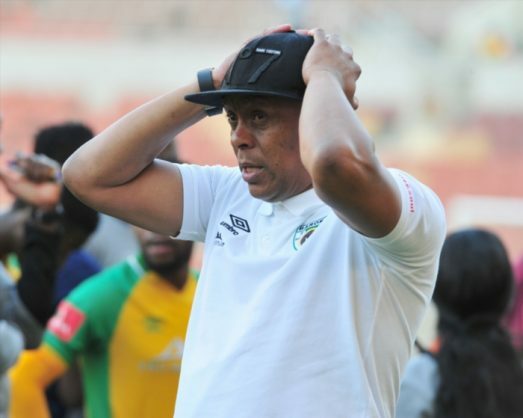 Doctor Khumalo has resigned as the technical director at Baroka FC. Khumalo’s agent Jazzman Mahlakgane confirmed to Phakaaathi that Khumalo is stepping down from his position as Baroka’s technical director. The Chiefs legend joined Baroka FF at the start of the 2017/2018 season after he left Chiefs where he was part of the technical team for the development side. Baroka FC chairman Khurishi Mphahlele was quoted as saying the club’s new coach Wedson Nyirenda will select the technical team he would like to work with when questioned about Khumalo’s future at the club. Khumalo was appointed to help former coach Kgoloko Thobejane with building a team that can compete in the Absa Premiership. The Chiefs legend has expressed his desire to return to Amakhosi if the chairman offers him a job.